The word "no" can be disheartening to us in sales. Whether uttered by a prospect or a customer, it is an unfortunate word we hear more often than we would like. It can definitely be demotivating, and that negativity may even seep into overall performance. However, there are some small psychological tips and tricks that can help combat the feeling, and with regular practice, these acquired skills may help overcome such negativity and enable you to deal with these feelings in a more constructive manner. Unfortunately, rejection will always play a part in sales. Not everyone wants or needs the products or services you are offering and therefore many will say no, and you should expect that. Rather than focus on the rejections, readjust your attention to all of those customers who will say yes. Top sales professionals know that rejection is part of the game, and they accept it. There is no point in denying the reality of the situation. Instead, find methods to deal with challenges and rejections gracefully and professionally. Now that we have established that you cannot close every deal, the next step is to prepare yourself for situations when the customer says no. Top performers tend to be prepared in the face of rejection. This usually requires an artful redirection of the conversation, or simply reframing the discussion with the customer, and infusing some sense of positivity - even if you are internally upset. 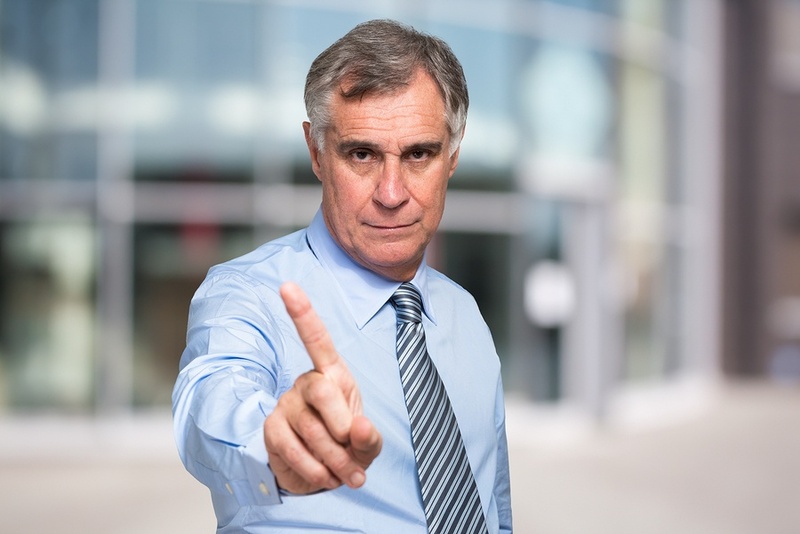 There is no reason to destroy the confidence and rapport you may have already established with the customer, even if you weren’t able to overcome some of the objections they raised. This way, you will come off professional, and keep the door open for business with the customer at a later time. This is always the most difficult part of any rejection; to keep emotions out of the equation, and trying not to let it seem like a personal affront. The first step is to understand that rejections aren’t personally directed at you. In fact, the likely reason for rejection can be rooted in a myriad of reasons. Perhaps there are budgetary concerns, or less than stellar business conditions, or something even as simple as bad timing. Keep in mind though, that the reasoning behind a rejection is prone to change. The same prospect who just said no could easily become a customer next quarter, mainly because conditions have changed. Thorough analyses of key performance indicators will teach you many things - including just how much of a numbers game sales is. You have a monthly and quarterly goal, and you’ll need to create x amount of opportunities in order to reach your quota. Rejections need to be factored into these numbers, because no one has a 100% close rate. Having a full pipeline is key in this process. Having a sales pipeline with prospects at each stage will dramatically shift the odds of hitting quota in your favor. Always keep in mind that only a certain percentage of your leads and prospects will turn into customers. Initially, rejection will hit heavy and hard, and may lead you to become disheartened by the process. However, keeping these tips in mind and keeping them in regular practice throughout your sales career will help mitigate that feeling to a great extent. Though the "no" may sting at first, use those opportunities as a learning experience and move on from it to tackle the next challenge - don't spend too much time dwelling on what could have been.